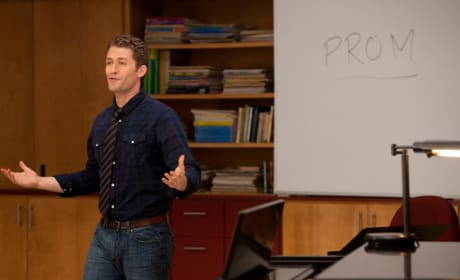 Will Schuester is not going anywhere. Amidst all the casting rumors, that much is certain. April just shows up every now and then on Glee. We love her appearances, but wish they didn't feel so random. The boys are in New York in this Glee photo. It's from the season two finale. 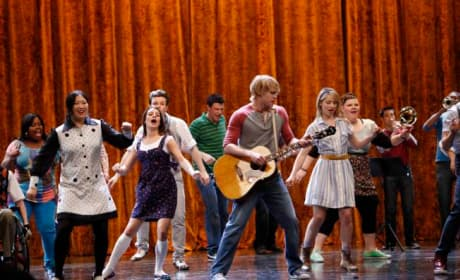 The New Directions take to New York City on the season two finale. Check out this scene from the episode. Terri, Howard and Sue are up to no good in this scene. They're plotting to stop the glee club from going to nationals. Sing it, Rachel! Lea Michele belts out another winning in this scene from Glee. Kurt does his thing on stage here. It's a scene from the episode "Funeral." She may be donning a tiara in this picture, but do you think Quinn is going to be declared the "Prom Queen?" A shot from the May 3, 2011 episode of Glee. Are you liking the second season so far? A photo from next week's all-new 90-MINUTE episode of Glee. Should be unreal. Gwyneth Paltrow on Glee April 19, 2011. So great to have her back! 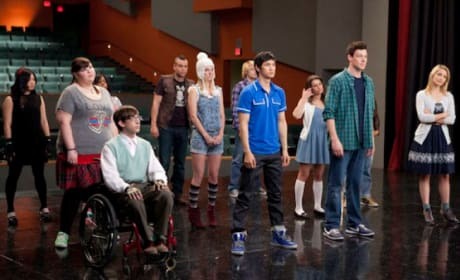 A photo from Glee's April 19, 2011 episode. Should be a good one!